An early Wednesday fire at a Vista home left a woman and her numerous pets displaced, but no one was injured. 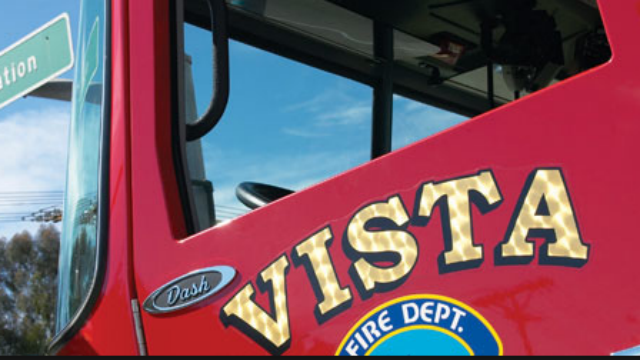 The woman awoke to smoke filling her home at 1235 Cinchona St. around 4:15 a.m., ran to a neighbor’s house and called for help, according to Deputy Fire Chief Ned Vander Pol of the Vista Fire Department. The fire started in a metal trash can in the kitchen and burned through a skylight, he said. Vander Pol said firefighters from Vista and Oceanside had the fire contained in the kitchen area in less than 10 minutes. The resident’s four dogs and several cats either escaped unharmed or were rescued by fire crews. None of the pets were injured, Vander Pol said. The fire caused around $30,000 in damage, Vander Pol said.